Nairn Golf Club, this Traditional Scottish Golf Links Course was created form a wilderness of whins and heather and talents of professional and amateur alike. Founded in 1887 and added to and extended by Archie Simpson, Old Tom Morris and James Braid it is now one of the best course in Scotland. It is regularly chosen for national championships, including the Scottish Amateur, Scottish professional and in 1994 hosted the 'Blue Riband' of the Amateur Calendar the 'Amateur'Championship. Nairn hosted the 37th Walker cup in 1999. The magnificent New Clubhouse which was built in 1990 is the envy of many and adds to the pleasure of playing at Nairn. As well as the challenging Championship Course, the club offers and interesting but less strenuous nine hole (Newton Course) and there is also a full-size practice ground adjacent to the 18th fairway. Nairn also offers a full sized snooker table, practice are with range ball. 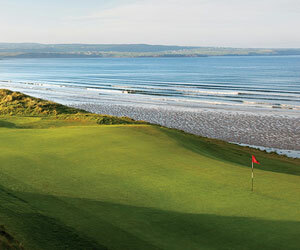 Golfing a Nairn is a wonderful experience and not to be missed. Located on west beach at Nairn by turning left off A96 along Seabank Rd until you reach clubhouse. Information herein provided by the club 15 Aug 1998. Fashioned by Old Tom Morris and later James Braid, this championship course boasts fine greenkeeping with fast greens and natural sea hazards. 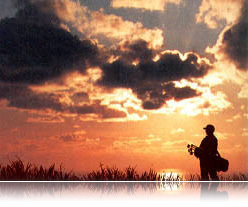 A traditional Scottish golf clinks course of exceptional quality. A short course for juniors, beginners, holiday makers and those who now find the main championship too hard. Played as an 18 hole course the yardage is 3542. Played Nairn in 2002. I thought it had the best greens in Scotland. The 13th hole, though not a links hole, is a great one -- very tough. Many great holes of varying character. Lots of fun. We played Nairn in June 1999. We couldn't play Donegal because of a tournament so we landed here. The green fees were modest. The first hole is very unimpressive but the deeper you get into the course the better it is. It's a classic links, 9 holes out and nine back. Around the 5th hole Nairn begins to show it's character. From 5 through 17, Nairn is a treat. The 7th, 8th, 9th, and 10th are situated on a point of dunes that juts out into the bay. They are some of the finest links holes I have played. The wind was up a bit and it made for some interesting club selections. We played on a Friday afternoon and we had the place to ourselves. The course conditions were good and we thoroughly enjoyed it. Stop in the club house after the round, have a pint and swap tales with Sean Murphy, the Manager. That alone is worth the green fees. Played Nairn on May 14th, 1996 and came away completely impressed. As I teed off at 7:30 in the morning it was raining sideways and 40 degrees. The umbrella I was using quickly became inverted. I wondered what in the hell I was doing playing golf in such inhospitable conditions. By the third hole, the sun was out. A truly unique golf experience that I will never forget. The greens were by far the best of the four courses I played while in Scotland. I think it was the 15th, a short par 4 that heads back toward the Moray Firth that I remember the most. It was one of the most interesting short par 4's I've ever played. A true bump and run test! A great golf course that deserves more recognition in the States. Played here August, '96, with two members. This charming course is only a half notch below the revered Royal Dornoch. Great putting green with many undulations. New clubhouse that welcomes you and lends a great view. Play this course and Royal Dornoch which is about an hour away-you'll never forget either of them. adding some nice varie ty. The Walker Cup will be held at Nairn in 1999. 13th green(a 412 uphill 4 p ar that could kill a good round). Must be a bear when the wind blows hard..